When you put it like that.. Here is one that interest me a little as its difficult to evaluate for a number of reasons which will get a mention here as I put my thoughts together on this. 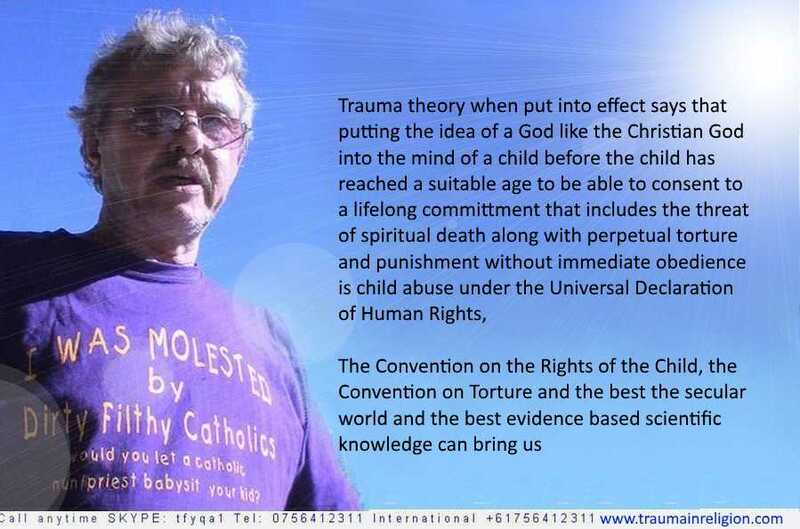 Trauma theory when put into effect says that putting the idea of a God like the Christian God into the mind of a child before the child has reached a suitable age to be able to consent to a lifelong committment that includes the threat of spiritual death along with perpetual torture and punishment without immediate obedience is child abuse under the Universal Declaration of Human Rights, The Convention on the Rights of the Child, the Convention on Torture and the best the secular world and the best evidence based scientific knowledge can bring us.